Researchers find that wildfires are responsible for up to 20 percent of water flowing in some Western U.S. streams. (Inside Science) -- Understanding the impacts of wildfire on regional waterways can be a murky endeavor. 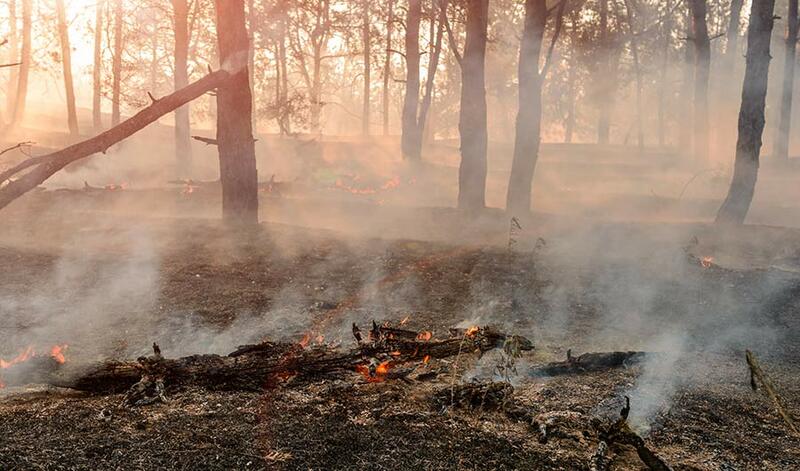 Soot and chemicals released in large blazes can contaminate nearby water supplies, and wildfires often weaken soils, releasing sediment into streams and rivers. They also impact how much water flows into streams and rivers. Researchers from the New Mexico Institute of Mining and Technology and Ben-Gurion University of the Negev in Israel found that, in some cases, the ecological effects of wildfires were responsible for up to 20 percent of a stream’s water flow, according to a study published in June in the journal Geophysical Research Letters. In barren landscapes that have recently burned, rainwater -- which might have otherwise been absorbed by plants and evaporated into the atmosphere through a process called transpiration -- seeps into the ground. When water stays in the soil, it can trickle down to underground aquifers and filter into streams. Because most streams in the Western U.S. aren’t equipped with water gauges, scientists don’t have accurate estimates of how much water flows through them. To address this problem, the team created a model using water gauge data from 39 fire-affected streams collected by the U.S. Geological Survey between 1986 and 2015. They then used these calculations to analyze ungauged water basins across the West to predict the influence that wildfires might have on them. Researchers suggest this news may be a boon to farmers and ranchers downstream who are struggling to adapt to increasingly dry conditions. The wildlife these waterways support are also impacted when streams run dry. For much of the West, where fires can now occur at almost any time of year instead of during a monthslong “fire season,” scientists are working hard to unravel the implications of more frequent fires -- good and bad. Jennifer Leman is a contributing writer from Santa Cruz, California. Follow her at @jlorileman.